Pat Mote - Bryant - Real Estate Agent - Central Arkansas Real Estate - Little Rock Homes and surrounding areas. 7 locations to serve you. Pat & Mitchell Mote are The Mote Team! Pat and Mitchell Mote comprise The Mote Team. 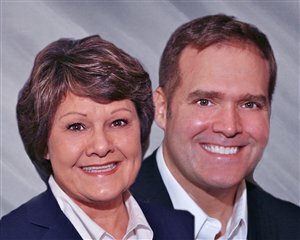 This mother and son team has a long standing tradition in real estate in Central Arkansas with more than 40 years combined experience. The Mote's owned and operated their own real estate company for approximately 12 years before joining Coldwell Banker RPM. The combined knowledge and experience of this team in working with all areas of residential real estate, including relocation of buyers and sellers, is sure to benefit customers and clients alike.